Taken by photojournalist I.C. 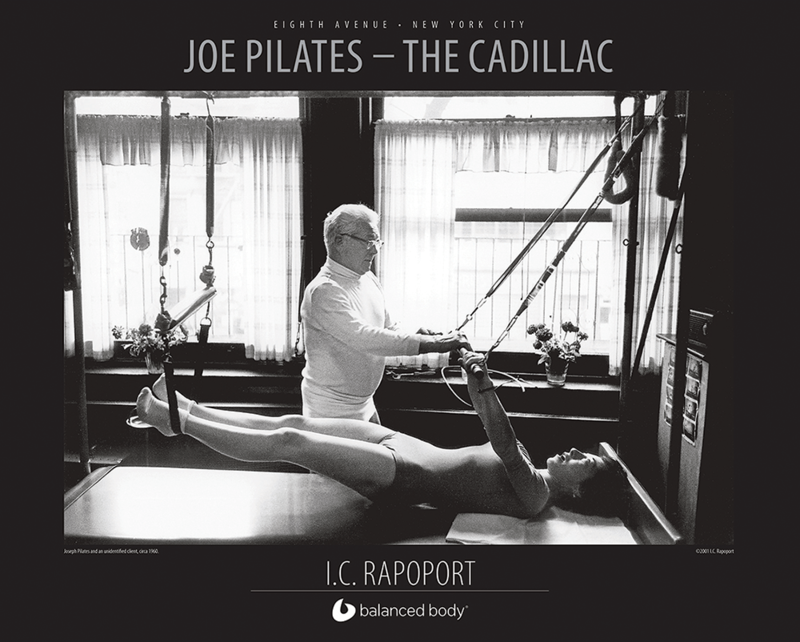 Rapoport in 1961, the “Cadillac” shows Joe teaching proper position to an unidentified student. Reproduced on heavyweight paper, 30” x 24” (76cm x 61cm). Joe demonstrates the use of “The Barrel”. This detailed photo shows the Pilates Studio circa 1940.